Hand painted and highly detailed this Alien Head Knocker stands 7” tall and is made of resin. 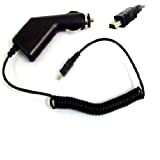 Micro usb car chargers, will work with many micro usb compatible devices. Insert the teabag into the Teatool, squeeze and dispose resulting in a better flavoured cup of tea, no burnt fingers and no more dripping teabags… pass the biscuits! Fonerange Branded Micro USB Mains charger. Fits all Micro USB charging handsets including and not exclusive to. Micro sd to Usb reader. Allows you to transfer files, such as music, pictures, numbers to your computer. This London Underground Bottle Opener shaped like the iconic logo is magnetic – so you can keep it on the fridge when you’re not using it. A classic bit of London design to liven up your kitchen.